Located in the attractive and important town of Farnham, just a 5-minute walk from the railway station and close to many other amenities, this newly refurbished centre provides prestigious serviced offices for up to 10 persons, available on flexible terms. 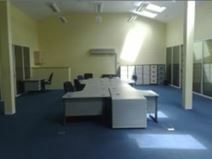 This space is in a prime town centre location, with 24 hour access and security. Sash windows provide excellent natural light and the space is fully air conditioned, provided you with a great environment to work in. Take advantage of the meeting rooms and breakout spaces to entertain clients or take a break from the office. There are also onsite showers, kitchen and parking facilities. Located close the M3 and just two minutes from the A31, the site is easily accessed. Farnham train station is just a five minute walk away and there are an abundance of local bus routes nearby, perfect if you're a public transport user. With plenty of shops, restaurants, sport centres and green spaces nearby, there's plenty to enjoy in your out of office activities. Recently refurbished to a high standard and decorated with great attention to details, this prestigious business centre offers a professional and elegant working environment, provided with state-of-the-art technology, parking facilities and the latest telecommunication systems. 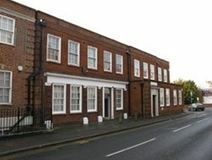 Located in the heart of Farnham's business district, this business centre is just a few minutes’ away from the most famous shopping street of the city and is easily accessible. 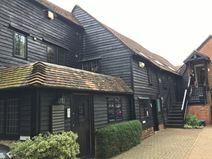 Located in the historic town of Farnham, this centre offers an excellent range of amenities, including meeting rooms, IT support, access to kitchen facilities and flexible terms. The centre is accessible 24-hours a day, which is ideal for flexible working, should this be required. Nearby, there are good transport links, with Farnham Railway Station less than a 10-minute walk away, with services to London Waterloo. This unique space, located in the attractive market town of Farnham offers eight modern offices fit to high specifications, with the option to add additional storage units dependant on your needs. The building is accessible 24 hours a day and there is plenty of meeting rooms and breakout spaces for you to take advantage of. Available on flexible terms, this friendly, modern space is perfect for any forward thinking environment. Easily accessed by car, on foot or by the numerous public transport routes running in the vicinity of the space, you'll find yourself with an easy daily commute. There is also plenty of shops, restaurants and sports centres nearby to enjoy in your out of office activities. A 1980s building, once an industrial unit which has been comprehensively renovated and now presents comfortable, furnished office space with conference facilities and a welcoming reception area. Historic Farnham civic centre is within walking distance with its mainline station and host of amenities. Previously a residential property, this Victorian building has been converted to a professional office environment with bright, spacious interiors and offers 24-hour access. Tongham Road is set within a pleasant countryside locale connected to surrounding areas via the M3 and A3. There are nearby amenities including places to eat and drink, a supermarket, a Premier Inn and a range of different shops. This modern building offers offices of various size, modernly furnished and sophisticatedly decorated. 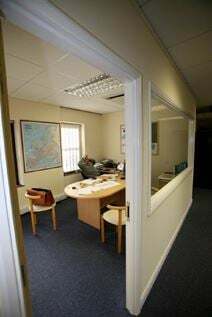 Provided with a full range of services and facilities, including parking spaces, kitchen and meeting rooms, these offices can be tailored in their size according to your needs. These offices are available at a convenient all-inclusive price. 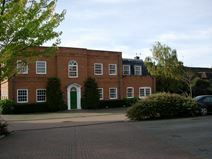 They enjoy a strategic location in Farnham, within walking distance of the city centre and close to the railway station. The location of this centre means the transport links are fantastic. Situated next to the railway station, there are connections to London Waterloo, as well as bus services in the surrounding area. The spaces are available on flexible terms, and offer bike racks for those cycling into the office, a boardroom, meeting rooms, an on-site management team, showers and postal facilities and mail handling. Beautiful offices with antique furnishings, period fireplaces and generous dimensions in a stately, Grade II listed brick building with full servicing. West Street is in central Farnham and a short distance from mainline rail services.